Canada’s freight railways move more than 900,000 tonnes of goods every day, transporting everything from the cars we drive to the food we eat. To deliver these goods, more than 2,800 locomotives pull close to five million carloads across the country each year. The safe and efficient loading and unloading of these railcars is a priority for both the railway industry and its customers. The Railway Association of Canada’s (RAC’s) Mechanical Services Team promotes safe car-loading procedures, informing shippers and railway employees of industry best practices and ensuring that the Canadian car-loading rules are consistently applied. With decades of experience in the rail industry, the team plays a key role in ensuring that shippers and railways adhere to the Open Top Loading Rules developed by RAC and the Association of American Railroads (AAR). Compliance with these rules is mandatory under the federal Railway Safety Act. The latest version of the Canadian Car Loading Rules can be found on RAC’s Circulars page. To keep rail prices competitive, RAC works to make sure that the procedures for loading, securing and bracing railcars do not cause unnecessary delays or increased costs to railway customers. All railcars must be secured in a manner that abides by RAC and AAR loading rules, to ensure the safe and damage-free transportation of goods. Any load that is deemed unsafe, or not adhering to prescribed rules, is prohibited from moving until it has been brought to the attention of the handling railway for corrective action. RAC has two staff in charge of car-loading rules who inspect thousands of carloads in railway yards and at customer facilities each year. These managers also conduct information seminars for shippers and railway personnel to share best practices, and make sure that loading rules and regulations are properly understood. All railways operating in Canada (or their customers) must submit proposals for new load designs, or modifications to existing loads, to RAC or the AAR (depending on the shipment’s intended destination). 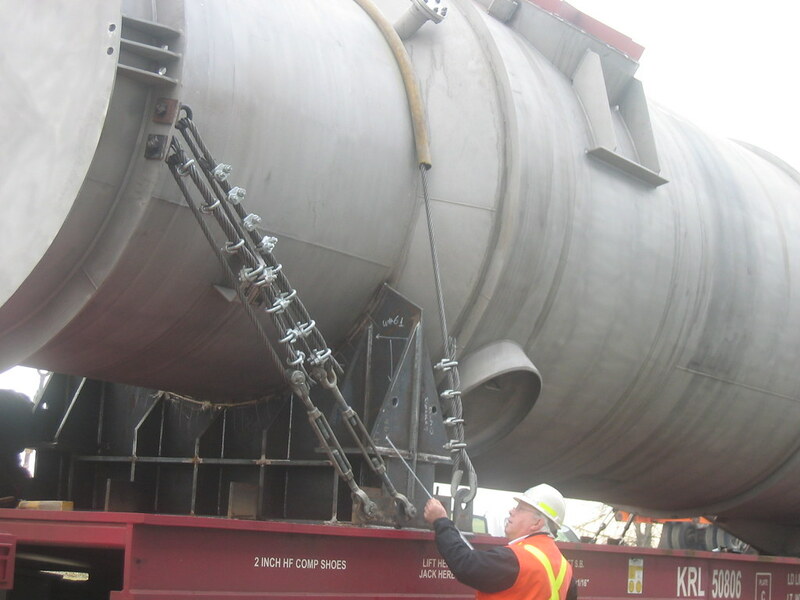 Once a proposal is evaluated, tested and proven adequately safe, RAC’s Loading Rules Committee issues a circular allowing the movement of railcars loaded according to the approved procedures. The committee, which includes representatives from RAC and its member railways, ensures all proposals meet RAC’s strict safety standards, and that all railcars on Canada’s rail lines pose no risk to rail employees or to the Canadian public.